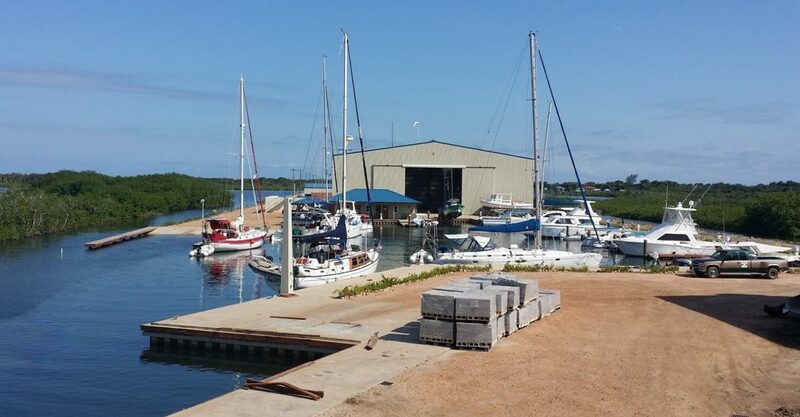 This Full service boatyard and marina is located on the Placencia Peninsula offering easy access to the Caribbean waters off the east coast of Belize. The marina is situated just 1/4 mile north of the Placencia airstrip at Mile 21 on the Placencia Road. By sea, it is located on the Placencia Lagoon 2.75 miles north of the Placencia Point. Strategically located, it competes only with Rio Dulce in Guatemala to the south and Cucumber Beach Marina in Belize City to the north. The entire property spans 10 acres and includes a catamaran ramp and dock, hurricane proof catamaran shed, marina with multiple slips, hurricane proof boat storage shed, office/shop and a house with 3 self-contained apartments and covered parking. There is a Puma Fuel Station, which is the only fuel station on the Placencia Peninsula offering Regular and Premium Gasoline and Diesel via high speed pumps built to handle large refills and easily accessed by larger yachts. The property also includes plenty of undeveloped land for expansion if desired. The marina is also an Authorized Marine Accessories Dealer offering customers a complete line of marine supplies which provides an additional revenue stream.